CELEBRATE THE ART OF PHOTOGRAPHY. Launch an intimate, multi-purpose gallery to heighten the public’s appreciation of traditional and digital photography. Optimize the experience with myriad high-definition audiovisual sources and displays. The space is a series of zones within a 9,700-square foot, one-story cube. The main gallery area can be quickly converted to banquet or theater seating for lectures and special events. Smaller seminars and meetings are at home in the Library and Workshop spaces. Sliding doors allow several events to occur simultaneously, or all areas to be combined for larger functions. Exhibits of mounted print photography greet visitors as they move into the heart of the gallery. 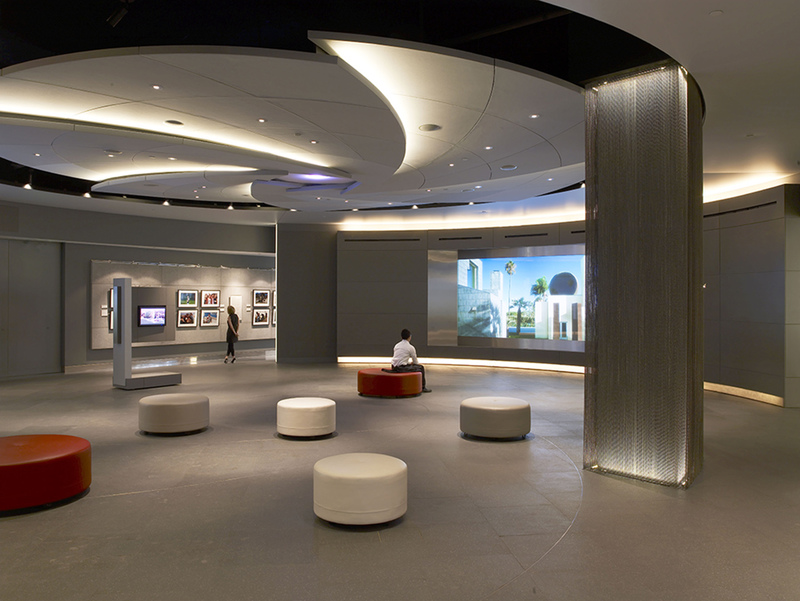 Two curved walls contain rear projection screens with four edge-blended data projectors for large scale, film-quality images. The walls are complemented by six portable kiosks with LCD screens and speakers. Theatre-quality Dolby surround sound enhances multi-media presentations. 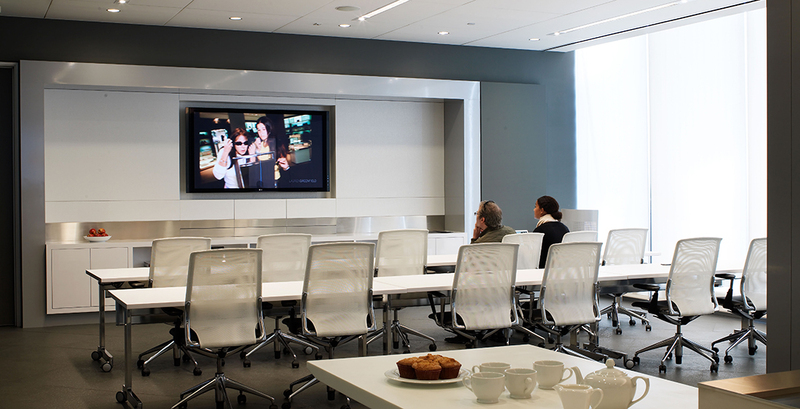 A master control room contains digital image servers and a show control system, for pre-programmed gallery exhibits. The remote control system can also direct any media source to any visual display or speaker zone in the gallery, library, and workshop areas. Key Element: A dynamic, multi-purpose gallery that utilizes audiovisual technology to highlight world-class photography.